Plastic has always been a part of our lives, yet it is also our biggest problem in our lives too. We know that this world is in a crisis under the threat of plastic waste. It is littering our ocean at some rate where it might threaten the lives of every marine animals. Reducing plastic consumption and managing plastic waste is the main mission. Many people, from researchers until entrepreneurs are finding their way to use plastic waste and convert it into something useful. We have also written about how to manage plastic waste and reduce plastic consumption in many of our articles. But this Indian man is taking it into a whole new level, no matter how many plastics are being consumed and converted into waste, this man can change it into something useful. Meet Dr Rajagopalan Vasudevan, the man who take plastic recycling into a whole new level. The 73 years old man has been familiar with plastic in his life, just like most of us. “Plastic isn’t the problem, we are,” said the chemistry professor in his office in the southern Indian city of Madurai to The Guardian. “Plastic wouldn’t clog our oceans or our landfills if we didn’t throw it there in the first place. And there is so much we can do with it instead,” he said. And indeed what he said was true, since there are so many things we can do to plastic waste. Saying such thing is not easy, since you have to really know the problem and how to handle it, with care. And indeed he does, Vasudevan created an innovation to convert plastic waste into something useful by making it into paved road. His innovation granted him the Indian’s highest civilian awards, the Padma Sri. Not only because this innovation in making plastic waste into something useful helps the environment, but also because it helps less fortunate people affording their livings. For your information, in the beginning of this project, his intention was to keep the lives of less fortunate people affordable. And to achieve that, the least realized yet an important step is by not fully banning plastic use. Like we said before, plastic is more affordable for less fortunate people, because plastic stuff is pretty cheap compared to other things. In example, plastic cabinets are cheaper than wood and wooden chairs are more expensive than the plastic ones. 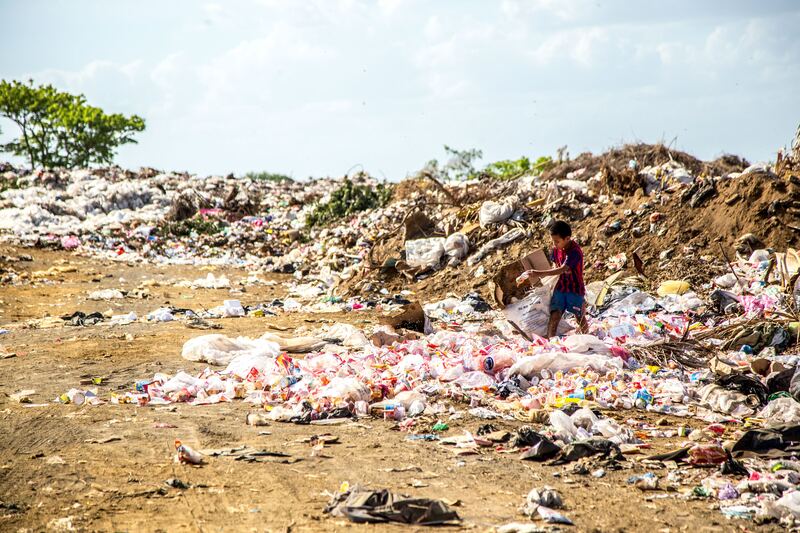 “Ban plastic and it can severely affect the quality of life for a low-income family,” said Vasudevan. He realized this fact after he felt disturbed by calls to ban plastic in one of his workshops. And since then he wanted to find the solutions for this plastic problem. ns to the waste plastic strewn all over. I decided to take up the challenge to experiment with waste plastics and see if I could find a solution,” said Vasudevan in an interview. “If you burn it or bury it, it’s bound to affect the environment,” he said. Thus he tried to convert plastic waste into something useful which doesn’t need to be buried or burned. He conducted several experiments in reaching that point, and finally after a series of researches he found the answer. “Bitumen, a highly heterogeneous mixture of hydrocarbons is in effect, composed of polymerssimilar to plastic,” said Vasudevan. When plastic waste is molten and mixed into stone and bitumen, it creates a strong and flexible material which is good enough to support weighs. The application for this strong and flexible material actually varies, while using it to build paved road is the best option possible. Not only because it can consume much amount of the material in one application, but also because India is in the trend of developing the infrastructure. The idea of converting plastic waste into paved road is highly supported by many parties. Not only because of its environmental impacts, but also because of its social and economical impacts which help the lives of the less fortunate people in the developing country affordable. Even former president of India Dr Abdul Kalam visited the Thiagajar College where Vasudevan works to witness this project. 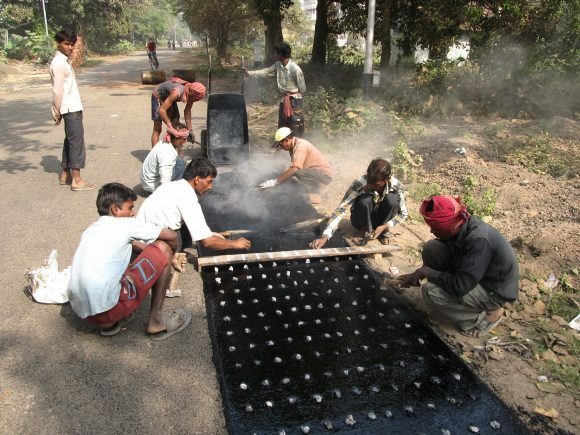 “He asked me to make the roads grey, since black roads absorb and trap heat,” Vasudevan said. The first road to be paved using this plastic material is the 60-feet road within the campus where he works. He did the work at 2002, and up until nowadays the road is still intact, showing the strength and durability of the materials used. Dr Vasudevan received the patent for this innovation at 2006, 4 years after the first road built using this material. Nowadays, almost 10,000 kilometers of Indian roads have been paved using his this material and tons of plastic waste has been converted. Like mentioned before, the innovation in converting plastic waste into materials to build road in India is not only giving good for the environment. It is also economically and socially helpful, not only to those less fortunate people, but also to the government. The fact is, the road built using this material is stronger than usual materials. 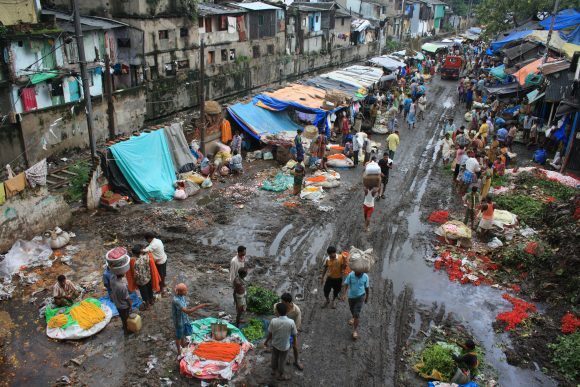 “The plastic tar roads have not developed any potholes, rutting, raveling or edge flaw, even though these roads are more than four years of age,” as stated in a report made by India’s Central Pollution Control Board. Plastic waste materials used in this project also varies, starting from plastic cups, plastic bags, foam packaging, even pieces of plastic chairs. This innovation should inspire other countries in this world. It can help us prevent ‘plastic disaster’ without too many hard works.